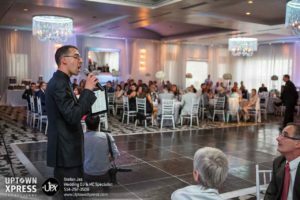 Have you ever been to a wedding and could not hold a decent conversation with others at your table during dinner because the music was too loud? Have you ever lost your voice after dinner at a wedding from yelling for the past two hours? In this post I would like to discuss sound levels and volume at weddings. This is something I feel that newly engaged couples should be aware of and discuss with potential DJs during their interview process with them. All to often it seems that some DJ’s bring the largest, loudest sound system possible, turning a wedding into a concert like atmosphere. Not only is music important at a wedding, the volume of the music is equally important! From my experience, when the volume is at a level at which people can speak to each other comfortably, and still hear the music in the background, they are the happiest. The music is setting a mood, creating an atmosphere. Being able to converse easily with friends and family without yelling creates even more atmosphere in the room. During cocktails and dinner, the volume of the music needs to constantly be adjusted, as more people talk, the louder the music needs to be to still hear it. As people begin eating, they are not speaking, so the volume can typically be lowered. To make sure the volume is comfortable at all times I walk around the room several times a night, to hear what guests around the room are hearing. 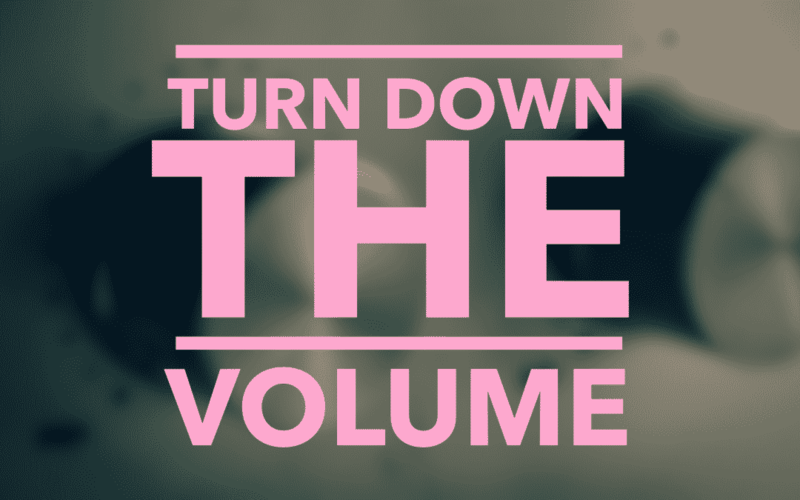 At larger weddings, for example 200 guests or more, turning the volume up is not always the answer to make sure everyone hears the music and speeches. In fact, it is never the answer! What this means is that it will be far more effective to place several “fill” speakers around the room at comfortable a volume rather than having the common two speakers near the dance floor at ear piercing volume. You can think of this as a type of surround sound for the hall. With more speakers around the room, the sound is even from all spots in the room. It makes speeches more clear for everyone to hear, which is something you don’t want to miss! Once the dancing begins, pump up the volume! This time of the night will obviously be louder. One thing to be aware of here is that a good quality sound system does not need to be loud to feel loud. Once again, we are at a wedding, not a concert. You want people to stay dancing as long as possible and you do not want them to have ringing in their ears at the end of the night. If there where extra speakers in the room, at this point those can be turned off. During the party we really only need the dance floor speakers. 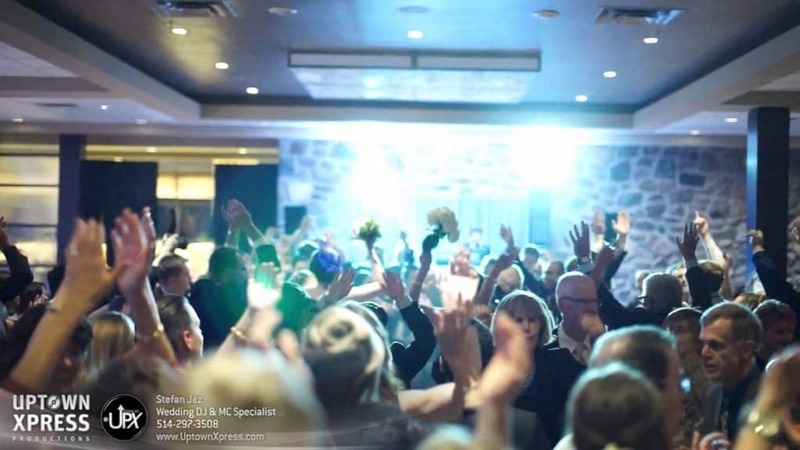 Speak to your DJ about their sound coverage plan for your wedding reception, especially if you are in a larger room with 200, 300 or more guests. Also keep in mind, that the larger the room, even if you only have 50 or 100 guests will still require these “fill” speakers to disperse the sound evenly, and would also affect the price the DJ charges.